Hello my crafty friends, and Happy New Year! I'm delighted to introduce you to the 2019 Occasions Catalogue which went live this week and will be current until May 31st 2019. If you don't already have an active demonstrator you do regular business with, I would love to be your demonstrator and send you regular catalogues. Just send me an email with your current address and email address for my customer newsletter. You can also download the catalogue or view the products in the online store. There are so many beautiful new products including cute cat and dog stamp sets, which both have coordinating punches. There's also a fabulous male product suite called Classic Garage. I'm also in love with the dreamy colours and designs in the Floral Romance product suite. 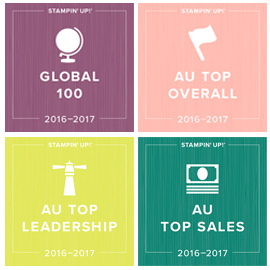 January also brings Saleabration, our biggest promotion of the Stampin' Up! year. With Saleabration there are LOTS of free products on offer. The promotion runs from January 3rd to March 31st. Find out more about the great Saleabration Offers. View the Saleabration products you can earn shopping, in my online store. Find out more about joining my team during Saleabration - 2 great specials and an exclusive tote! There are lots of amazing products to earn for FREE in the Saleabration. A couple of my favourites are the Botanical Butterfly Designer Series Paper and the Hello Cupcake Stamp Set. I'm looking forward to bringing you lots of creative inspiration over the coming months using these new products. If I can help you in any way, don't hesitate to Contact Me. JOINING / STARTER KIT SPECIALS now on - get $141 free product, free postage plus great Tote offer. 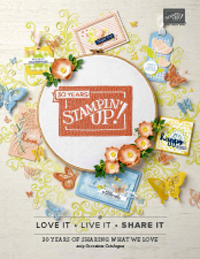 Get $352 worth of new Stampin' Up! products (including 10 ink pads) for just $169 with the Stampin' Up! Australia starter kit offer in July. Say what? 10 FREE Ink Pads? YES - that's what you will get when you buy the Stampin' Up! Starter Kit between 1-31 July. All up you will get a total of $352 product for just $169, plus free postage and an ongoing 20% discount if you want to get more product over the coming months. No selling required, you can just join as a happy discount shopper just for yourself, and stop whenever you choose, no questions asked. No ongoing or exit fees, so no risk, just FUN and an awesome creative community. Click on the image below to read all the details how you can save over 50% value in July. Contact me now and be ready to join as soon as this offer begins on Sunday June 1st. 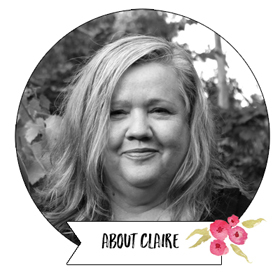 It's been a few weeks since the training and creative day I put on for our Stampin' Up! Art With Heart Team girls in Melbourne, Australia. Time to have a look back at some of the fun of the day. It was so great to have a whole Saturday (we went from 9.30am to 4.00pm) in the Melbourne CBD to meet up and connect in person. We have an amazing team forum and virtual support, but nothing beats spending tome in person together. I LOVE spending time with these amazing ladies. We had 5 presentations during the day on practical ideas team members could use in their business to continue to build. We have some great leaders with lots of experience in our team so we were able to cover lots of great topics. We also had Clare Langsford, one of our Australian South Pacific Demonstrator Support Managers attend on the day and do a fabulous presentation for us. The majority of the day was about being creative though! Everyone that came along got to make three make and take projects. I had two team members work hard to put these together or the day. We also had a demonstration session, where four of our clever team members demonstrated some innovative ways to use our products. Everyone bought along things they had been making for the creative display and there was lots of chatting going on about the awesome projects. We all agreed we need much more space for the display projects next time as there were just so many to show. Add in prize patrols throughout the day (everyone took home a prize), some fun selfie frame pics, some delicious morning tea and a chance to wander around the laneways of Melbourne to have some lunch, and all in all it was a really great day. A big shout out as well to my tech savvy son who came along as the helper / tech guy on the day and was a HUGE help. WOULD YOU LIKE TO COME ALONG TO THE NEXT DAY? All you have to do is be a member of our fabulous fun and friendly Art With Heart Team. You can join with me or I can suggest one of our team members who may be having regular smaller team gatherings closer to you, but which will still mean you come along to our big team days like this too. You don't have to do parties or sell if that's not for you. You get to come to our team days and OnStage Demonstrator events. You can stop whenever you like, no questions asked and keep everything. Being a team member is the best way to experience more of Stampin' Up! and be part of our awesome team community. Contact me today to ask more. I'd love to have you join our team.